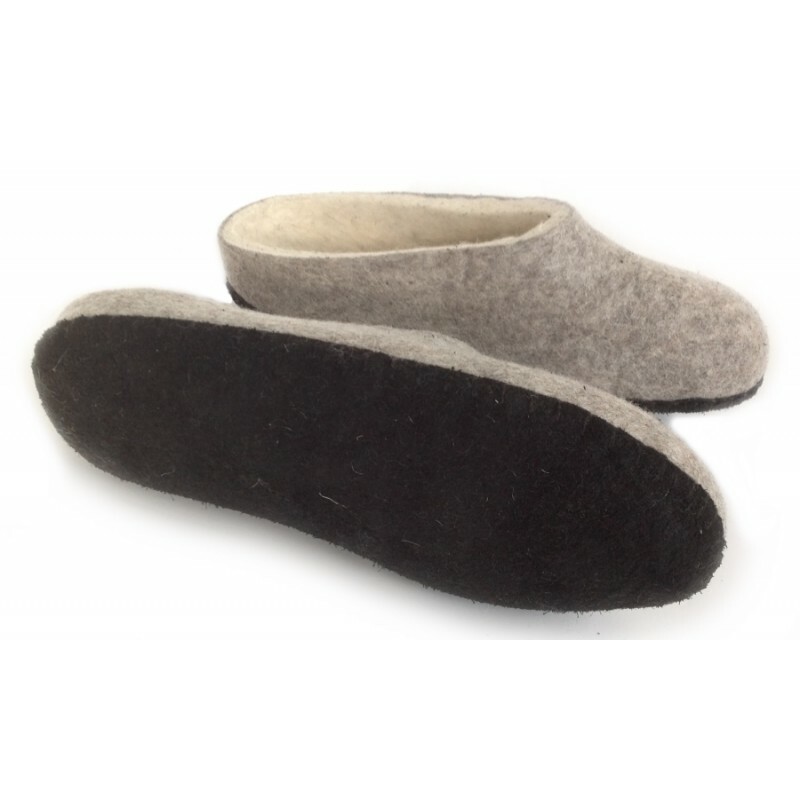 These unique fair trade felt slippers are handmade from high quality, Mongolian sheep wool with soft leather sole. Select Euro size (only shows sizes in stock). For other sizes, click "Related Products" below. Use size chart as a guide for selecting your size. Measure from very back of your heel to the tip of your longest toe - measure both feet and use the longest. 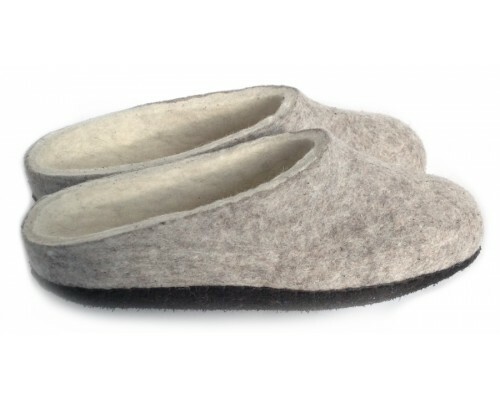 Do not add any extra length or your slippers will be too big. If you have a very slender foot, you might consider going down a half size. You are welcome to come to our office in Stillwater Auckland if you would prefer to try a pair on. 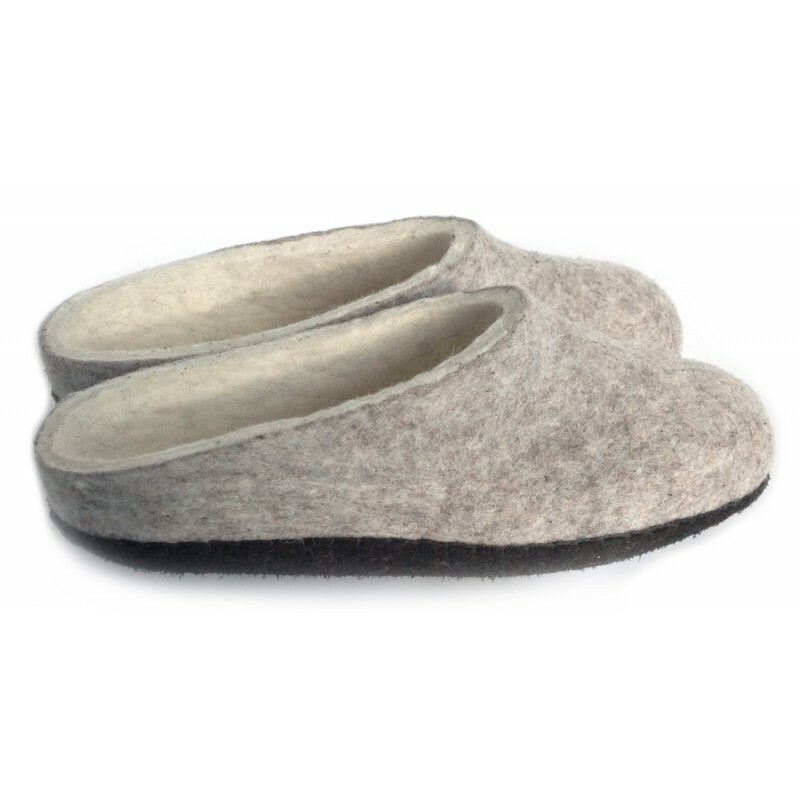 Due to the nature of handcrafted products by small business artisans, stock is limited and variations may occur. Supporting fair trade provides dignity and changes lives.